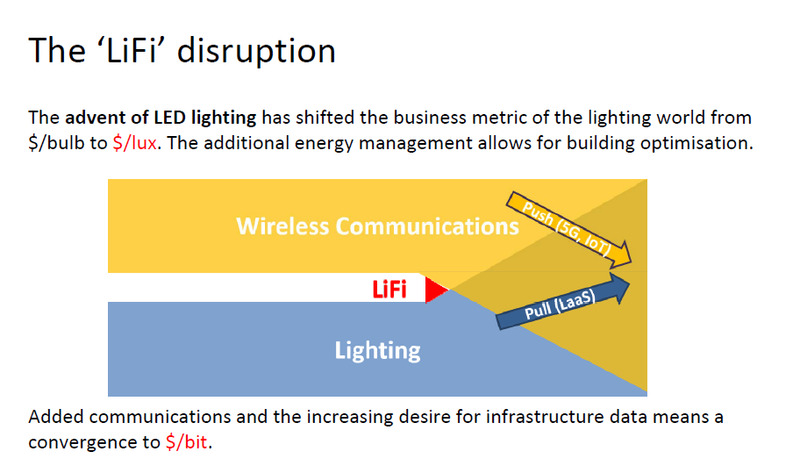 LiFi has been popping up in the news recently. I blogged about it (as LED-Fi) 10 years back. While the concept has remained the same, many of the limitations associated with the technology has been overcome. One of the companies driving LiFi is Scottish startup called pureLiFi. I heard Professor Harald Haas at IEEE Glasgow Summit speak about how many of the limitations of LiFi have been overcome in the last few years (see videos below). 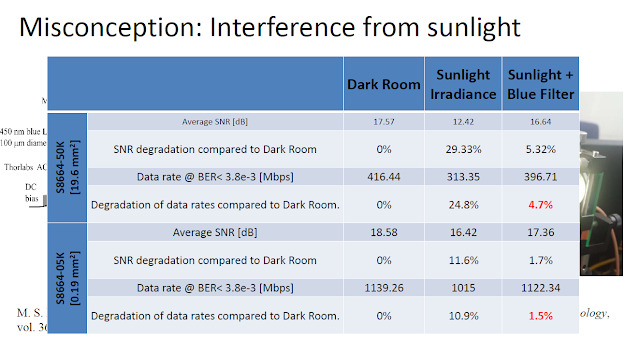 This is a welcome news as there is a tremendous amount of Visible Light Spectrum that is available for exploitation. While many discussions on LiFi revolve round its use as access technology, I think the real potential lies in its use as backhaul for densification. 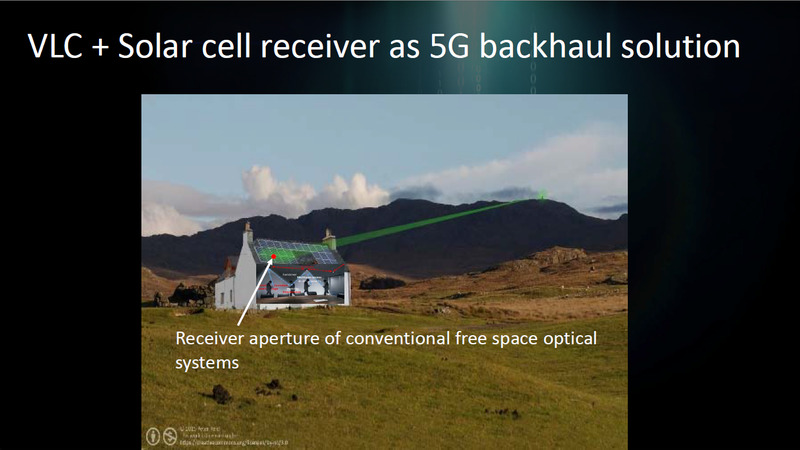 For 5G, when we are looking at small cells, every few hundred meters, probably on streetlights and lamp posts, there is a requirement for alternative backhaul to fiber. Its difficult to run fiber to each and every lamp post. 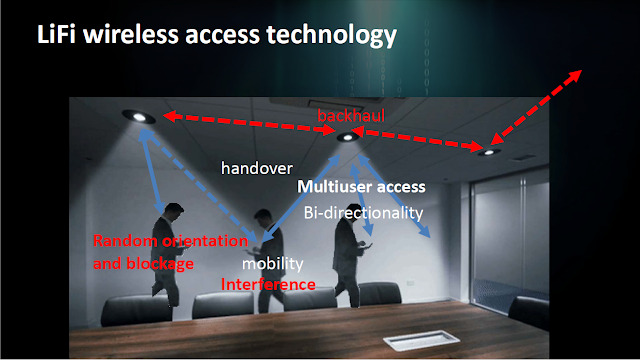 Traditionally, this was solved by microwave solutions but another option available in 5G is Integrated Access and Backhauling (IAB) or Self-backhauling. A better alternative could be to use LiFi for this backhauling between lamp posts or streetlights. This can help avoid complications with IAB when multiple nodes are close by and also any complications with the technology until it matures. This approach is of course being trialed but as the picture above shows, rural backhaul is just one option. 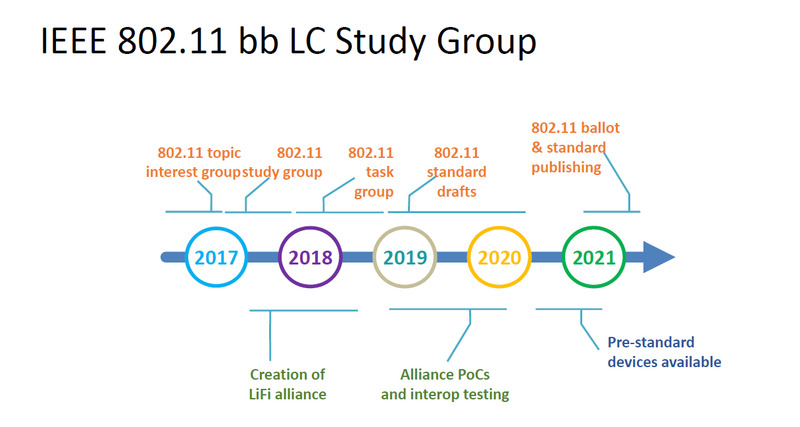 LiFi is being studied as part of IEEE 802.11bb group as well as its potential is being considered for 5G. Here is a vieo playlist explaining LiFi technology in detail.